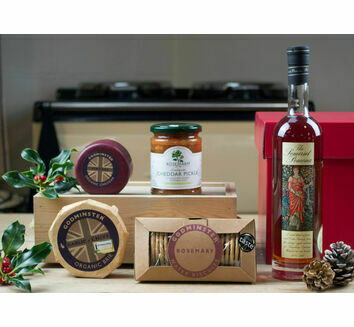 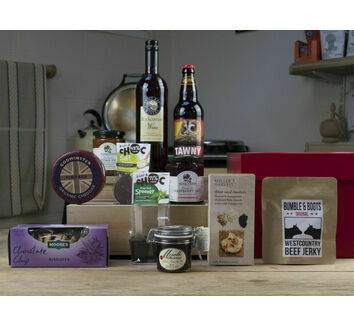 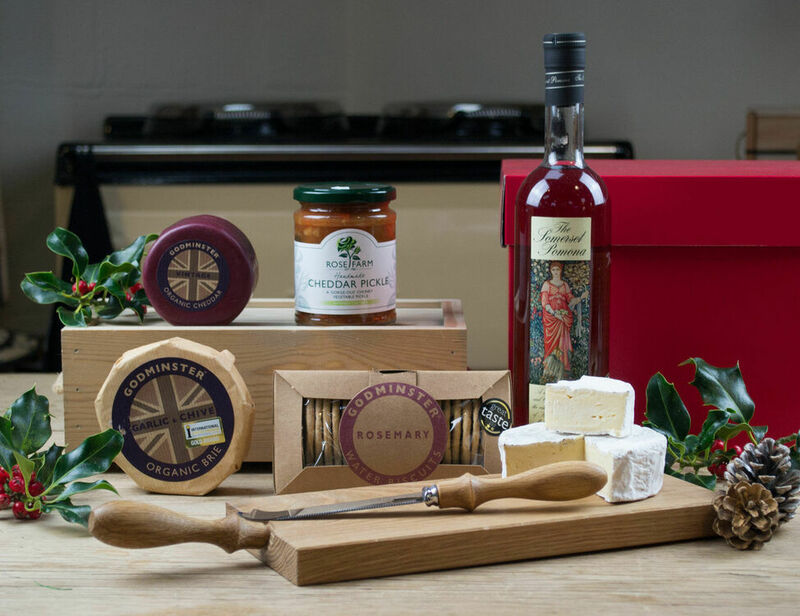 Containing some of the finest produce in Somerset, our cheese board and brandy hamper is the perfect gift for any cheese lover this Christmas. 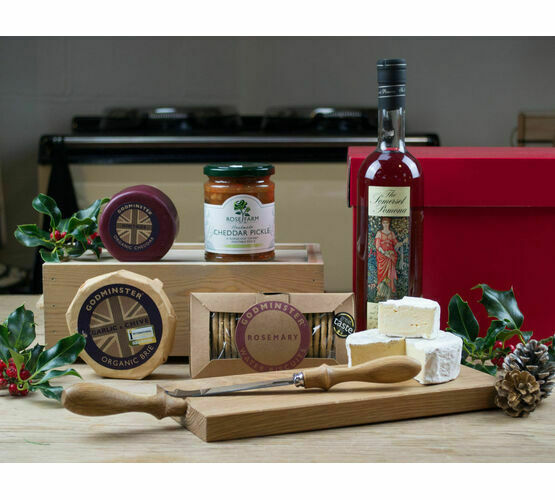 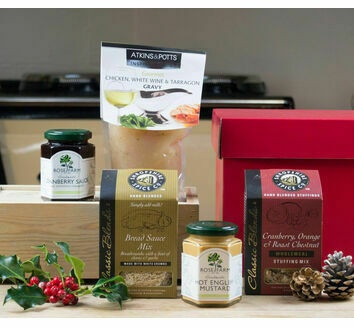 Including a fine selection of cheeses, as well as a traditional oak cheese board and knife, this set is sure to be enjoyed over the festive period. 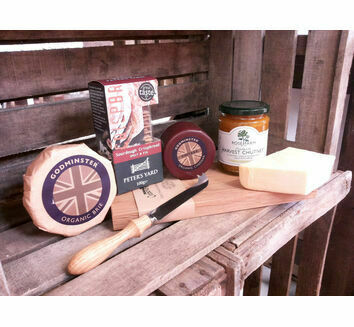 Godminster Brie (200g) - A sophisticated and smooth cheese that begins firm and chalky and becomes soft and gooey as it ripens. 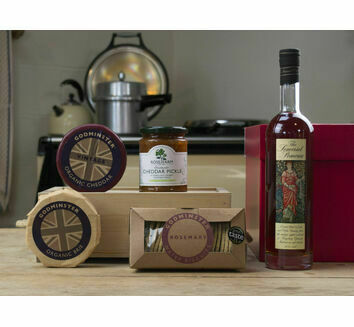 Godminster Rosemary Water Biscuits - Made from aromatic Somerset rosemary, these herby snacks go great with cheedar cheese. 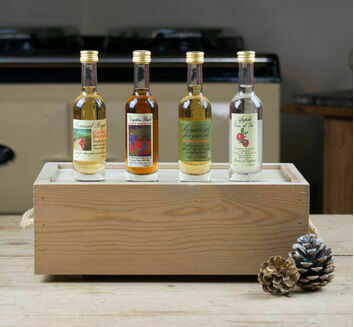 Somerset Apple Pomona Brandy - Perfectly accompanies any cheese, this apple brandy is exotic and perfumed with hints of almonds and gentian.